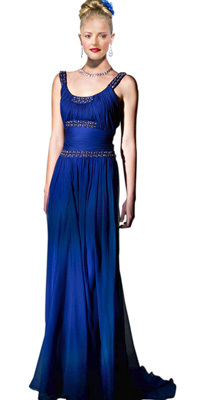 Look glamorous in this red carpet dress that is blue in shade. 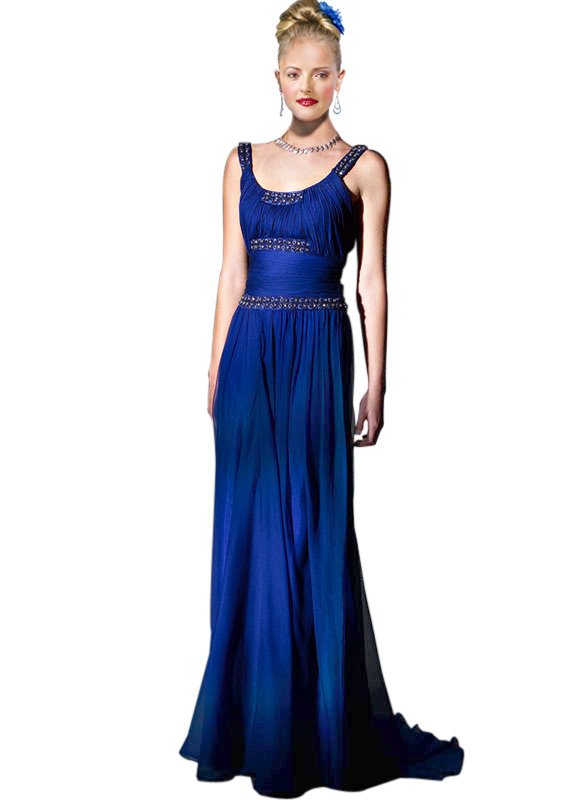 The straps are a little thick with a round neck and a bust that is ruched with beadwork. The bodice is also ruched with bead work in a line at the empire waist and the bust line. The long skirt that touches the floor adds to the glamour.